No matter how much background and training a trader or investor has, intuition remains the key personal asset to attaining financial success. Success depends on refining your intuition to a level that allows you to take the next step with unshakable confidence. But bringing yourself to this level is a daunting challenge--one that often requires you to override the logic of your acquired knowledge. 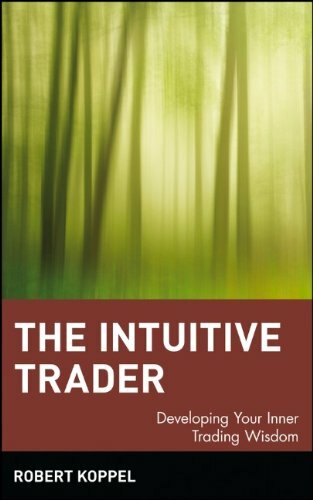 With insights from industry success stories, exercises, and analysis from psychologists and psychiatrists, The Intuitive Trader shows traders and investors how to capitalize on their powerful intuitive skills so that they can take their trading to a new level. ROBERT KOPPEL (Chicago, Illinois) is President of Future Skills, a Chicago-based consulting firm that works with individual traders, CTA's and brokerage firms. A former member of the Chicago Mercantile Exchange, he is a partner in Skylane Trading, a clearing firm backed by Daiwa Securities. Koppel is the author of The Inner Game of Trading and The Outer Game of Trading, and he frequently lectures on the psychology of sound investing. If you have any questions about this product by Robert Koppel, contact us by completing and submitting the form below. If you are looking for a specif part number, please include it with your message.